CoderDojo wouldn’t be possible without the hard work and dedication of its awesome community members who volunteer their time to run Dojos all around the world. We hear a lot about community members who are doing amazing things for their Dojos and the CoderDojo Community. We have decided to honour volunteers with a new series for our blog called CoderDojo Heroes. We are going to interview volunteers from Dojos all over the world and hear about the incredible things that they are doing. 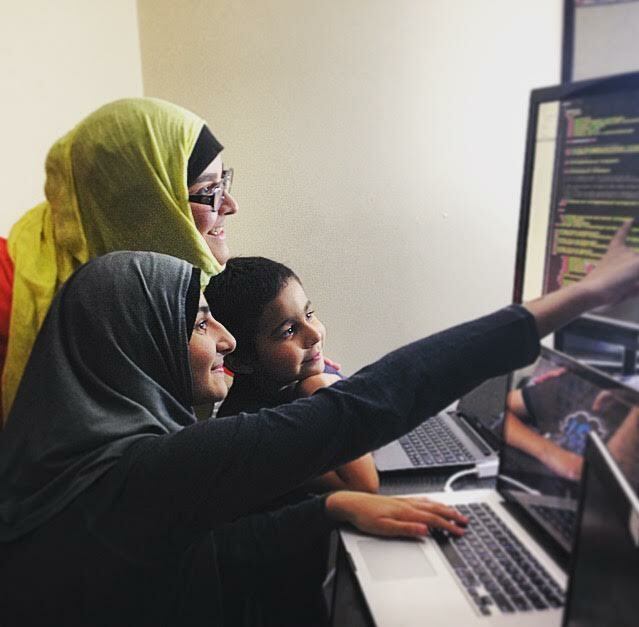 The second Hero, or should we say Heroes, in this series are Doonyah and Faraht Alucozai from CoderDojo Anvil which is in West Lafayette, Indiana! 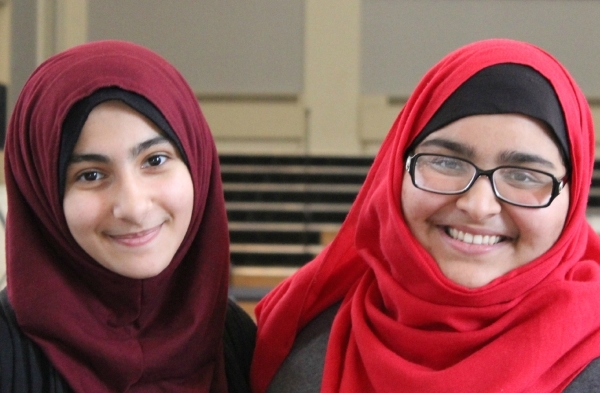 These sisters started a Dojo in Doonyah’s high school so that everyone in their community could have the opportunity to learn to code. They are a great inspiration, particularly to young girls who want to learn to code and are doing a great job of encouraging people to come together and collaborate through code. Doonyah Alucozai is a typical 8th grader who enjoys school, family, volleyball, and has an insatiable hunger to become a coder! Her first real exposure to the STEM fields was through Purdue’s Women in Engineering Program. Doonyah took what she learned from that program and designed an experiment at home on electromagnets. Going on to take first place prize in Engineering at the Purdue Regional Science Fair and qualified for the Indiana State Fair. For the past two years, she has been attending various clubs and camps held at Purdue University. She has completed many courses focused on programming and has created many deliverables, including hard-coding the entire CoderDojoAnvil website. She saw a need for coding in our community and brought it through CoderDojoAnvil. 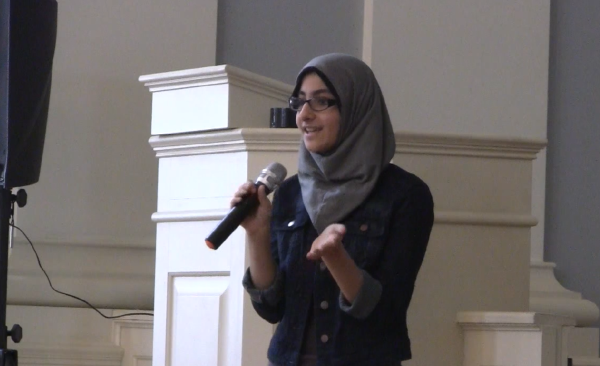 Farhat (pronounced Farah) Alucozai is a junior in the College of Health and Human Sciences at Purdue. Creating an organization and being in a position of leadership is not new to her, but rather just part of her daily routine. She is involved in a variety of on campus initiatives such as being Lead Brand Ambassador for Amazon. She was recently selected as the CGI U Purdue Campus Representative tasked with working and mentoring students who are interested in making global changes through the Clinton Global Foundation. Alucozai sits on the Community Standards Board among other positions and pushes to keep Purdue standards high and cares about students meeting those expectations. She promotes student research by engaging in meaningful work in the lab and sitting on the editor board for JPUR. Farah believes that everyone has the potential but not everyone has the opportunity. Through CoderDojoAnvil she and her sister are providing that opportunity for the community to reach their potential. She is the older sister of the girl who has an insatiable hunger for coding. Together they are the Co-founders of the CoderDojo at West Lafayette, Indiana known as CoderDojoAnvil. When and how did you get involved in CoderDojo? My (Doonyah) interest in coding began when my older brother Milad Alucozai bought a new laptop and handed down his old one to me. There were many programs that I was unfamiliar with, including applications that he used to write code. Not only did it look confusing, but it almost felt like a different language. Rather than deleting the applications, I took this as a challenge to try to figure out what it all meant. I began teaching myself how to code through online resources and was lucky enough to find a coding class through Purdue’s Women in Engineering Program. The class was only for a week, but beyond the content what I really enjoyed was working with others! I wanted something that lasted longer, enhanced my coding skills, and encouraged learning with a group and making new friends. I couldn’t find anything in the local area, so I started my own. How did you come across CoderDojo? So I did some research online and stumbled on CoderDojo when I was 12 years old. I saw a critical need, and rather than waiting for someone else to eventually start a Dojo in our area, I began the process myself. I joined with my sister Farhat (Farah) Alucozai, who is a junior at Purdue University. We worked together to get in touch with the CoderDojo headquarters, file the necessary paperwork, and sought out a venue, sponsors, and worked hard to get the word out. How do you think CoderDojo can/has benefited your community? We originally created the club thinking there were only a few likeminded kids who wanted to code. After launching our web presence we began advertising to the local community. Through my sister’s skills at marketing and promotion we got the word out to many people. However, we were both overwhelmed by the amount of interest. In a very short time we had over 200 families who expressed interest in our small community. We held a launch party and had over 150 people in attendance, and many who emailed later that couldn’t make it. The size of excitement and interest is a direct sign of the need for the type of club we’ve created. It made the hours and hours of work setting up the organization worth it. However, it has also given us a high bar and we want to do things right. It is an on-going challenge to recruit more mentors, create lesson plans, and introduce cool events. CoderDojo means a lot to our community. It is our goal to be a sustainable organization and a household name. We want kids to enjoy coming to our Dojo for years to come. We also want to organically scale our club and hold community events that involve workshops and speakers. Our mission is to feed the insatiable hunger that many youth like our co-founders have for the STEM fields. Describe what CoderDojo means to you in 3 words. What is one of your favourite memories from your Dojo? Our favorite memory is after my sister and I spoke on stage at our opening ceremony, we had parents come up and introduce themselves to us. Many told us their stories about why they are excited about our Dojo. One mom spoke about her daughter. She had got into coding/web development, but had little to no friends who have an interest in it. Both parents have no background in coding or computers beyond answering emails. They also struggle financially and can’t afford sending their daughter to camps. This put the family in a very difficult position. They were so interested in our coding club that they showed up an hour early and were one of the last people to leave. That is commitment! This isn’t the first time we have had a parent say something along these lines or express this type of emotion, and we hope it wont be the last. While CoderDojo Anvil is serving many children, it’s always is nice to take a step back and know we are making a difference in the lives of people in our community. This is what motivates our volunteer staff to aim higher. How would you encourage someone to set up their own Dojo? I(Doonyah) was 12 years old when I was interested in setting up my own CoderDojo. My advice involves the following: You are never too young to give back to the community. However, it makes it a lot easier if you check your ego at the door, take on support by creating a team, and actually listen to advice. Having no experience in setting up an organization like this, I spent a lot of time learning from those who have and adopting the best practices. If it wasn’t for my sister working with me on a daily basis, and our team of volunteers and sponsors; we wouldn’t be where we are today. What advice would you give to all the young coders out there? There are lots of misconceptions about coding. It isn’t robotic, it doesn’t have to be done alone, and it’s not as difficult as many make it out to be. Our Dojo will break down these misconceptions. Particularly to young girl coders, we live in a country where women make up about 50 percent of the U.S. workforce but just 25 percent of workers in STEM fields. This is really depressing, and I like to think by introducing girls to coding at a young age we can change those misconceptions about coding and STEM. I won’t be scared away from STEM fields nor should you. If you want to recommend someone from your Dojo for the Hero series, please contact us on: [email protected] A big thank you to Doonyah & Farhat for taking part!